Poached Fruit Topping, a combination of dried fruit poached in a sugar free cranberry juice. The perfect way to end a meal. 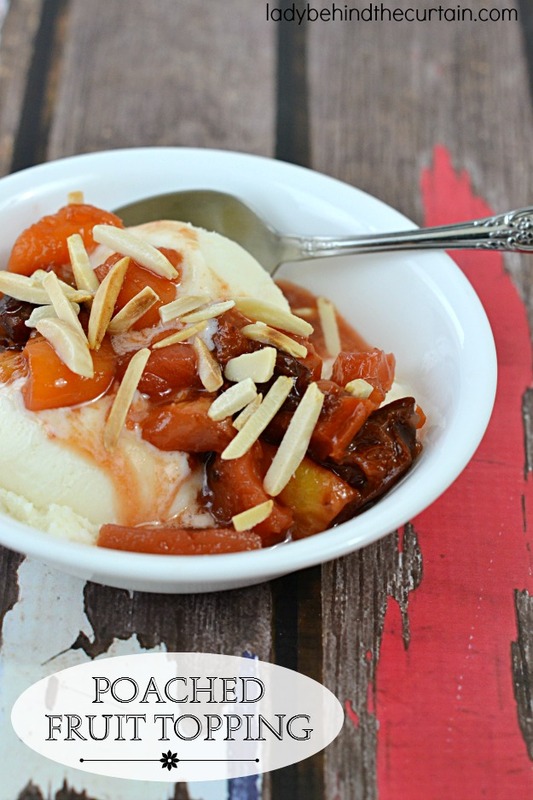 You don’t have to wait for your favorite fruit to be in season to make this wonderful Poached Fruit Topping. I used dried fruit, poached it in sugar free cranberry juice with orange rind strips and a cinnamon stick. 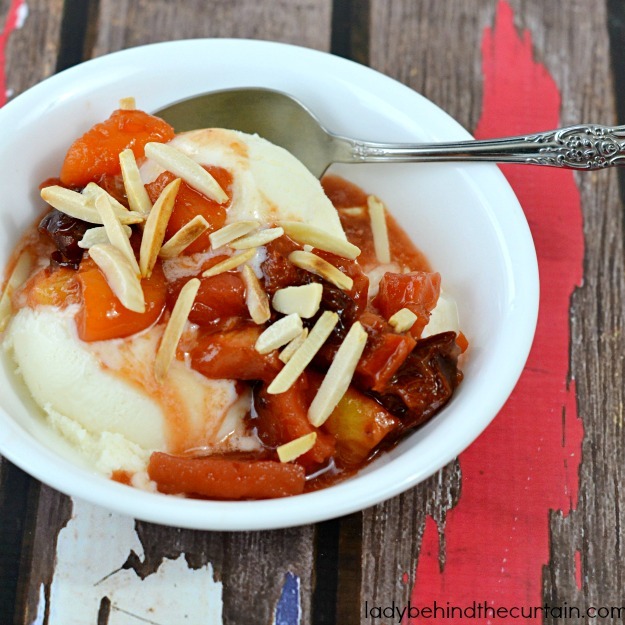 Serve it warm over Frozen Vanilla Yogurt and toasted almond slivers for a light dessert! For a richer option serve it over my Chocolate Pound Cake. To a small saucepan add the juice, orange rind, fruit and cinnamon. Bring to a boil, reduce heat to low and simmer 10 minutes. What a nice way to end dinner, Sheryl! I bet it’s wonderful! 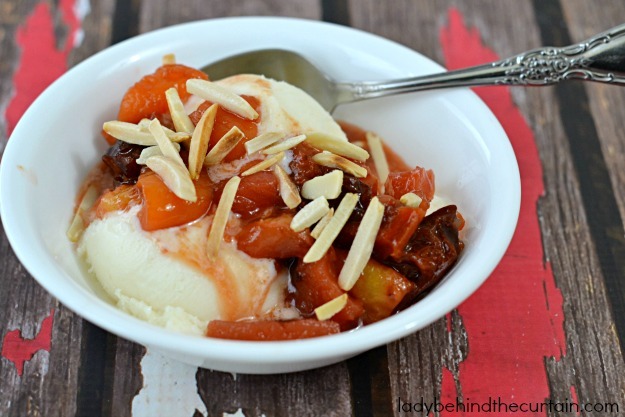 Sounds almost like a little cobbler a la mode! Delicious!